When I first became acquainted with novelist Luke Romyn, I was initially attracted to his witty sarcasm that he displays splendidly through Twitter and Facebook. He always makes me laugh. I didn’t even realize he was a writer at the start of our friendship. When I did get myself entrenched in his novel Blacklisted, I found myself captivated by a story that runs the gamut between mystery, suspense, and even horror. 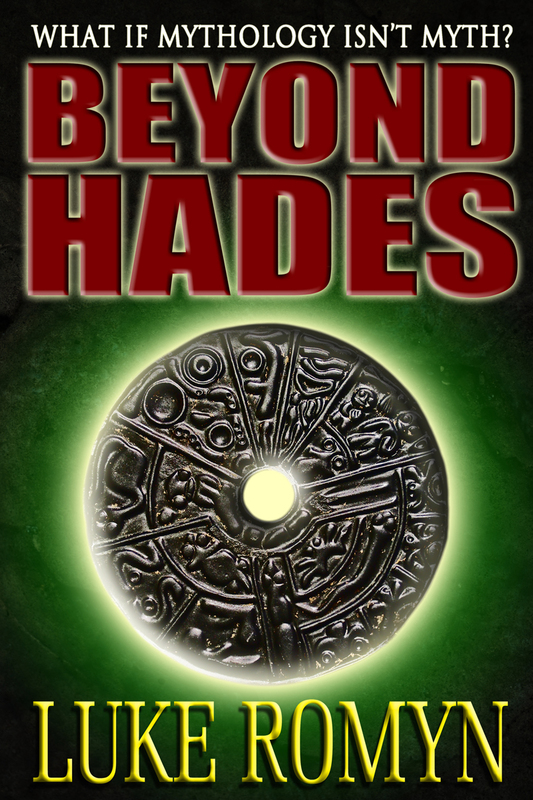 Luke writes with the experience of one who’s been spinning tales with the ease of a seasoned scribe for eons. His words draw you in and give you nothing but a sheer thrill ride from start to finish. 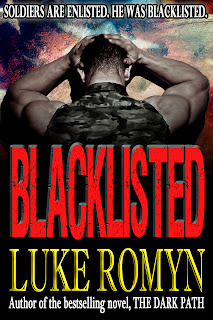 I just couldn’t stop reading Blacklisted until the very last word. I knew immediately that I had to interview Luke. I wanted to know more about the man who cracks me up so often with his online remarks, and who made me give up an entire weekend to get lost in his prose. 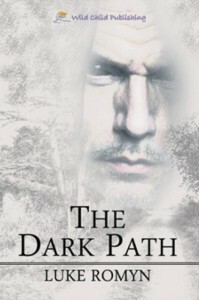 His prior novel The Dark Path was another exciting read and I came to see that this is a man with a talent who will be around for a very long time doing what he does best. Living in Australia, Luke has worked in various jobs and one can see the influence his endeavors have on his writing. He is, quite simply, a force to be reckoned with. I’m more than pleased to present him here. CP: Thanks for visiting with me, Luke. LR: Thanks for having me, Carey. CP: What part of Australia do you live in? LR: I’m up in North Queensland, near the Daintree rainforest and with the Great Barrier Reef just off the coast. CP: Are you Australian by birth? LR: I am indeed. I was born in Sydney around 36 years ago and have progressively made my way north ever since. My father was a Dutch immigrant and my mother was a Scottish one. So while I might have been born here my roots extend far beyond these shores. CP: You’ve had a colorful career. 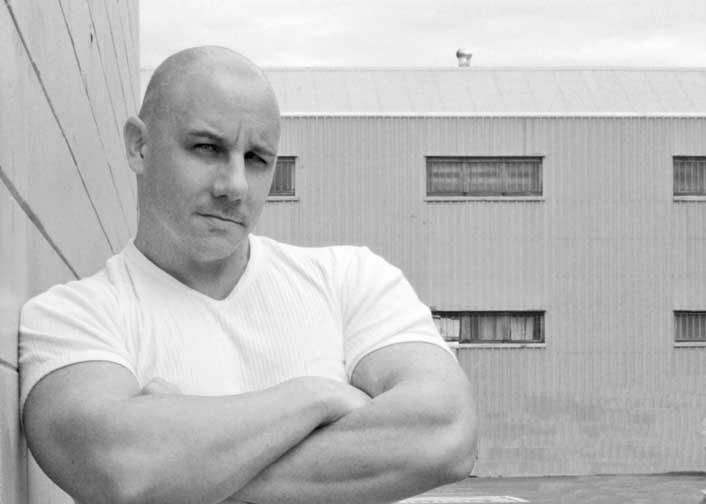 Bouncer, writer, worked on film sets; which is your favorite? LR: Writer, definitely writer. While I might have worn many hats throughout my life, the moment I began writing, I knew I’d found my calling. The other things I do for money, writing I do for love. CP: Your books have proven popular with fans. Why do you think they have such appeal? LR: I think the believable and flawed characters really appeal to readers. Mike from Blacklisted, for instance, is a young man who is often left without control of his situation, flung along and merely trying to cope with all that is thrown at him. Readers can relate to a character like this far more than a hero who knows all the answers and laughs in the face of danger. Seriously, what kind of idiot would do that? Nobody is perfect, and my stories tend to have characters succeeding despite all the perils they face, but not easily, not by far. LR: I get asked this a lot and have no real deep and meaningful answer to it. I simply sit down at my computer and write – that’s about it. Sometimes the stuff that comes out of my imagination is good, while other times it’s a heap of extension leads tangled together and dipped in molasses before getting covered in fire-breathing ants. Yep, that’s right, a mess. It comes down to hard work, really. There are no short cuts, no magical formulas, you simply write a story and keep the good bits, throw out the bad. I listen to music, get lost on the internet, dance voodoo naked and all the rest just like any other person, but in the end I write, hoping what comes out when I stop is somehow intelligible. CP: Are you at work on a new book now? If so, what can you share about it? LR: I wrote another five books during a year and a half break from work and am now in the process of bringing them all out. I was working with agents and publishers, but it seems the industry is in a massive amount of turmoil at the moment. So I’ll make use of the wondrous services which have never been available before and strive to get my work out to the people who matter – my readers. I network with a large number of independent authors and have great support from people highly knowledgeable in the industry. They all agree with me in that I could spend my time approaching publishers who are currently doing nothing or I could get my work out there on my own. Sure, it’s a lot of hard work, but I have access to a great editing team who help me immensely. In the end, my stories are appreciated by the people I want and my readers get what they need. CP: Of your novels, The Dark Path and Blacklisted, do you have a favorite? Was one more difficult to write than the other? LR: I can’t say that I like any of my books more than the rest. They all hold their own value in my heart and have all been like a part of me. They’re my children, my small piece of input into a world which will soon forget I ever existed. I think the hardest to write was The Dark Path, simply because I had never written anything on the scale I was attempting at that point. It was my first novel and I really had no idea. 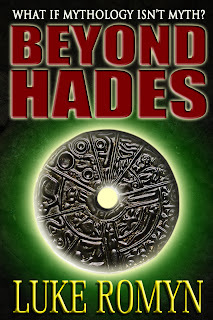 Beyond Hades, my next release, was also extremely hard due to the massive amount of research into Greek Mythology I had to do. I’m now at the point where my writing is not forced, it flows easily from me and I know what I’m facing when I undertake a novel. The hard part is finding enough time, but that will come… in time. CP: What do you do when you aren’t writing? LR: I tend to work far too much. I own a couple of DVD rental shops (yes, they still exist) and also work as a bouncer on weekends in the biggest club in North Queensland. I don’t manage security any more, that would take up too much of my time, but I help out wherever I can. I also like to get into the gym whenever possible and read at every opportunity. The best way an author can learn is to read every scrap of writing, from novels of different genres to magazine articles, and use that knowledge in their own work. It is all out there, just waiting. LR: I am very much married and have been for about 7 years now. My wife is my harshest critic and the first to read anything of mine. It’s a great partnership. CP: What kind of music do you like? LR: My musical tastes vary greatly depending upon my mood. For the most part, I like heavy stuff from bands like Slipknot and Machine Head, but on other days I’ve been known to listen to softer tunes in order to survive the world. CP: What’s your favorite movie? LR: I think my favorite movie of all time would have to be Taken starring Liam Neeson. The story was simple, but Neeson’s portrayal of a father searching for his kidnapped daughter was spectacular. LR: Pizza or KFC. Although my favorite restaurant does a dish called ‘pollo veronese’ which in essence is a chicken breast covered in a special garlic and bacon cream sauce. Spectacular. LR: Such a simple question, yet incredibly difficult at the same time. I have travelled to so many places in my life it is quite hard to choose between them. I once stayed in a small town called Murren, high up in the Swiss Alps, which was located on the edge of a cliff some 1400 meters above sea level. I mention it in Blacklisted, and it would have to be one of my favorite places of all time. They had no cars and it was an incredibly peaceful place, perfect just to escape from everything. LR: I live in the tropics, but at times it gets far too hot for my liking. I’ve travelled to snowy areas but think I’d end up hating it after a while. So barefoot weather would have to be my answer, so long as I don’t bake. CP: What advice or wisdom can you share? LR: Go into every situation with your eyes wide open. Dreams drive us all on, but don’t let them cloud you from reality, because that will likely spell your downfall. However, you must always follow your dreams, otherwise you’ll just be a shell, living a life without hope or ambition. Each person needs to have a dream, and if they achieve it they need to get another and another… until they need to dream no more. LR: I am most proud of the fact I have written books that people want to read, stories which help them escape from reality for a short time and step into my imagination for a ride through another world. I am proud that I have come so far on my own, forging ahead despite all the rejection letters, believing in myself and my work without waning, and knowing what I will one day become. Not bad for a knuckle-dragging nightclub bouncer. Nope, not bad at all. Although I’d never think of Luke as a knucklehead. He’s a very nice guy with a really warm personality, and I get the feeling he’s never met a stranger in his whole life! He certainly knows how to put one at ease. He is someone I admire, respect, and highly recommend if you’re looking for a book that will make you forget everything else as you get lost in his words. Luke Romyn is a dynamic individual and I’m very proud to call him a friend.